CONAN THE BARBARIAN (1982) -Revisited and Amazon Prime CONAN series in the works? Mongol General: Hao! Dai ye! We won again! This is good, but what is best in life? Mongol: The open steppe, fleet horse, falcons at your wrist, and the wind in your hair. Mongol General: Wrong! Conan! What is best in life? Conan: To crush your enemies. See them driven before you. And to hear the lamentations of their women. Mongol General: That is good! That is good. 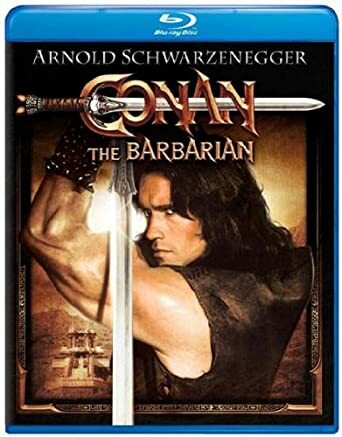 36 Years later, and the best version of Robert E Howard’s pulp adventure series set at the beginning of the Hyborian age of man, the best live action version of his CONAN, is John Milius’ absolutely thrillingly written CONAN THE BARBARIAN (1982). Starring the great James Earl Jones, and just dripping with great lines, the movie holds up. And no one who has seen it, can leave it without the lines of a plain, unapologetic, patriarchal time, following you, like war drums in your heart. Man, Millius got what was best in Howard’s Conan, dialing down the ‘of its time’ weaknesses of Howard’s stories, and instead dialing up the strengths to 11. Seeing the movie as a boy, it was a boy’s adventure writ large, like STAR WARS or INDIANA JONES or SUPERMAN. And John Millius’ CONAN THE BARBARIAN were the lines and the myth, that many boys grew to manhood on. The only weakness of the first film is its titular star, Arnold Schwarzenegger. Schwarzenegger at the time, coming off devastating bodybuilding wins, was while physically the absolutely right person, did not have the acting chops. I mean he pulls it off for the most part, but some scenes cause you to wince, even as a kid, However with an actor with more gravitas, the movie could be a solid recommend, rather than a qualified one. I think you could take this same Movie, with the brilliant John Millius script, shoot it almost line for line, and shot for shot, and add a protagonist with more acting skill, and have a great movie. The 2011 Momoa movie unfortunately, while it got a dynamic actor, surrounded him with a sub par script and story, and had nothing iconic or memorable to it, ala Millius’ CONAN THE BARBARIAN. And the less said about the CONAN THE DESTROYER the better. However there is talk of an Amazon Streaming TV series of Conan to be put together by Colony co-creator Ryan Condal, Thrones director Miguel Sapochnik and The Handmaid’s Tale executive producer Warren Littlefield. 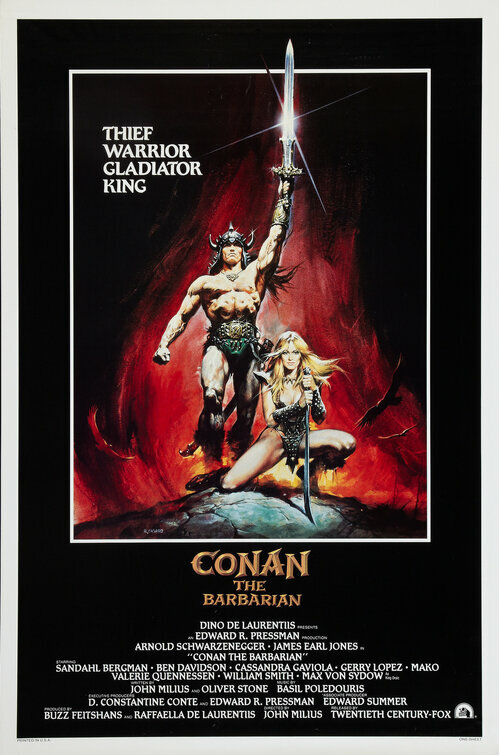 But until that sees the light of day, I would say revisit Millius; CONAN THE BARBARIAN, and enjoy what is best in life. Thulsa Doom: I wish to speak to you now. Where is the Eye of the Serpent? Rexor says that you gave to a girl, probably for a mere night’s pleasure, hmm? What a loss. People have no grasp of what they do. You broke into my house, stole my property, murdered my servants, and my PETS! And that is what grieves me the most! You killed my snake. Thorgrim is beside himself with grief! He raised that snake from the time it was born. Thulsa Doom: Ah. It must have been when I was younger. There was a time, boy, when I searched for steel, when steel meant more to me than gold or jewels. Conan: The riddle… of steel. Thulsa Doom: That is strength, boy! That is power! What is steel compared to the hand that wields it? Look at the strength in your body, the desire in your heart, I gave you this! Such a waste. Contemplate this on the tree of woe. Crucify him! —James Earl Jones having six years earlier defined one of the great cinematic villains of all time in Darth Vader, does so here in front of the camera, with his brilliant performance of Thulsa Doom. Like all great villains, there is something alluring, and of the misplaced hero, in the best of villians. Something almost correct, something of the man they were, or could have been, that resonates in who they are. Something in their fervor and their madness, that seems at times… almost sane. WEDNESDAY WORDS! TOP 20 BOOKS OF THE WEEK! HEROIC TIMES Top 20 Books list is a new weekly installment that ranks the 20 most interesting, intriguing books of the week (old, new, reissues, digital, etc). Contributors represent a variety of genres and sources. Each book includes Title and publisher blurb. 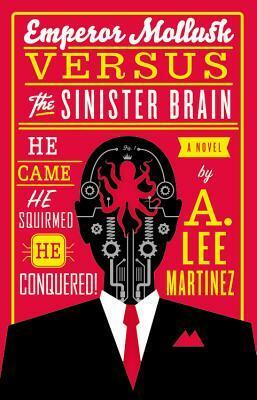 Emperor Mollusk versus the Sinister Brain [Hardcover] by A. Lee Martinez- Emperor Mollusk- Intergalactic Menace. Destroyer of Worlds. Conqueror of Other Worlds. Mad Genius. Ex-Warlord of Earth.Not bad for a guy without a spine.But what’s a villain to do after he’s done . . . everything. With no new ambitions, he’s happy to pitch in and solve the energy crisis or repel alien invaders should the need arise, but if he had his way, he’d prefer to be left alone to explore the boundaries of dangerous science. Just as a hobby, of course. Retirement isn’t easy though. If the boredom doesn’t get him, there’s always the Venusians. Or the Saturnites. Or the Mercurials. Or . . . well, you get the idea. If that wasn’t bad enough, there’s also the assassins of a legendary death cult and an up-and-coming megalomaniac (as brilliant as he is bodiless) who have marked Emperor for their own nefarious purposes. But Mollusk isn’t about to let the Earth slip out of his own tentacles and into the less capable clutches of another. So it’s time to dust off the old death ray and come out of retirement. Except this time, he’s not out to rule the world. He’s out to save it from the peril of THE SINISTER BRAIN! 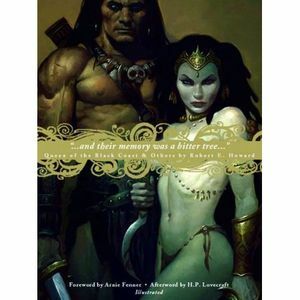 And Their Memory Was a Bitter Tree – As one of the three most important American pulp fantasy authors of the 1930s (with Lovecraft and Clark Ashton Smith), Robert E. Howard captivated readers with his indomitable, battle-scarred barbarian hero Conan. Though Howard’s life ended prematurely in 1936 at the age of 30, Conan lives on as one of the genre’s most enduring icons. This beautifully designed collection contains nine essential Conan stories along with a full-length Conan novel. Also included is The Hyborean Age, Howard’s fascinating history of the raw, blood-drenched world Conan inhabited, an alternative Earth that preceded Tolkien’s Middle Earth. And Their Memory Was a Bitter Tree features a color map of this realm and an interior painting by cult artist Brom, along with a series of Frank Frazetta’s seminal Conan paintings, appearing for the first time with the stories for which they were created. 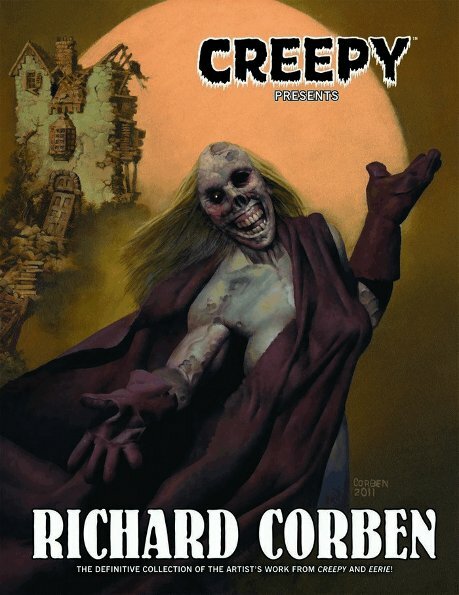 Creepy Presents Richard Corben [Hardcover]- Over 300-pages of timeless terror from a master storyteller! Horror comics visionary and coloring pioneer Richard Corben has been a voice of creativity and change for over four decades. For the first time ever, Corben’s legendary Creepy and Eerie short stories and cover illustrations are being collected into one deluxe hardcover! 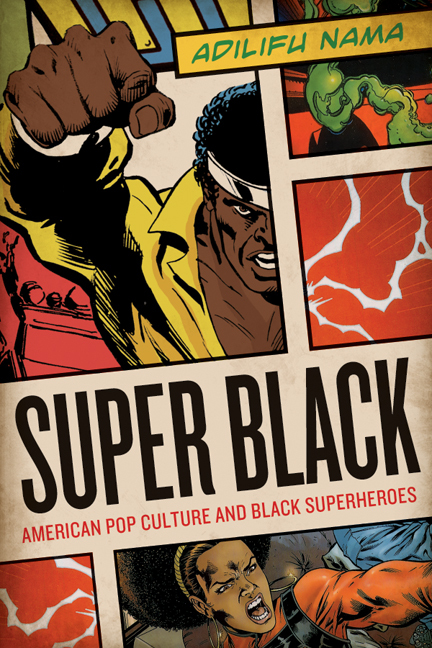 With an informative foreword by artist and comic-book colorist Jose Villarrubia – who also provides color restoration – this volume features Richard Corben’s original stories, Edgar Allan Poe adaptations, and collaborations with comic-book writers Bruce Jones, Bill DuBay, Doug Moench, Gerald Conway, and others! 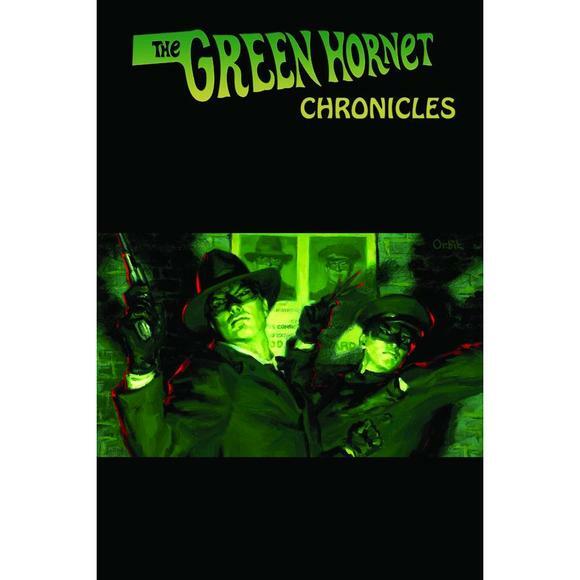 – I love the art and stories of Richard Corben, particularly from this period. And to have 300 pages of it collected in one place in Hardcover format? Sign me up. The output of Dark Horse Publishing continues to be top notch and abundant. And this is another winner from them.. 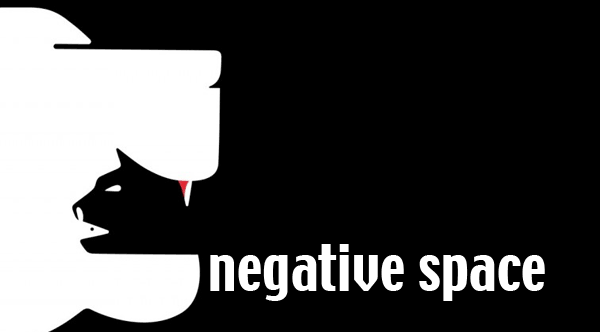 Negative Space – As an artistic device, ?negative space? refers to an artist?s rendering of a subject by relying on the space that surrounds the subject to provide shape and meaning. Of course, the term also refers to any topic that conjures feelings of unease and discomfort. Furthering the partnership begun with the publication of Guess Who? internationally acclaimed illustrator Noma Bar has compiled his newest collection of work, Negative Space. 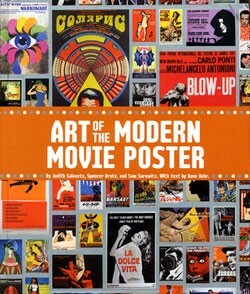 Art of the Modern Movie Poster: International Postwar Style and Design [Hardcover]- Critically authoritative, visually stunning, and physically massive, Art of the Modern Movie Poster is the first and last word on post-WWII film poster design. Showcasing fascinating examples from 15 nations, this collection of more than 1,500 exemplary designs is a must-have for film buffs, design and poster aficionados alike. The posters are organized by country of origin, offering an intriguing glimpse into each region’s unique visual sensibility and sometimes unexpected takes on familiar films. Gathered from the renowned collection of the Posteritati Gallery in New Yorkone of the largest holdings of international film posters in the worldthis volume is the definitive survey of both film and popular graphic art in the modern era. Parallel Tracks: The Railroad and Silent Cinema – In wide-ranging and provocative analyses of dozens of silent films—icons of film history like The General and The Great Train Robbery as well as many that are rarely discussed—Kirby examines how trains and rail travel embodied concepts of spectatorship and mobility grounded in imperialism and the social, sexual, and racial divisions of modern Western culture. 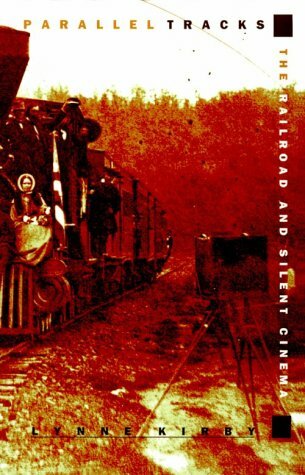 This analysis at the same time provides a detailed and largely unexamined history of the railroad in silent filmmaking. Kirby also devotes special attention to the similar ways in which the railroad and cinema structured the roles of men and women. As she demonstrates, these representations have had profound implications for the articulation of gender in our culture, a culture in some sense based on the machine as embodied by the train and the camera/projector. Ultimately, this book reveals the profound and parallel impact that the railroad and the cinema have had on Western society and modern urban industrial culture. Parallel Tracks will be eagerly awaited by those involved in cinema studies, American studies, feminist theory, and the cultural study of modernity. 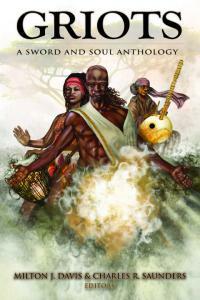 Griots: A Sword and Soul Anthology [Paperback] by Milton J. Davis (Editor), Charles R. Saunders (Editor)- Publication Date: August 7, 2011- Magic. Myth. Warfare. Wonder. Beauty. Bravery. Glamour. Gore. Sorcery. Sensuality. These and many more elements of fantasy await you in the pages of Griots, which brings you the latest stories of the new genre called Sword and Soul. The tales told in Griots are the annals of the Africa that was, as well as Africas that never were, may have been, or should have been. They are the legends of a continent and people emerging from shadows thrust upon them in the past. They are the sagas sung by the modern heirs of the African story-tellers known by many names – including griots. Here, you will meet mighty warriors, seductive sorceresses, ambitious monarchs, and cunning courtesans. Here, you will journey through the vast variety of settings Africa offers, and inspires. Here, you will savor what the writings of the modern-day griots have to offer: journeys through limitless vistas of the imagination, with a touch of color and a taste of soul. Omens [Hardcover]Richard Gavin- Omens is a collection of twelve haunting tales by Richard Gavin, whose work is reminiscent of the subtle supernatural tales of Robert Aickman, and also of the eerie and unsettling tales of Thomas Ligotti. — I like collections. I think the short story format can, when done well, offer variety and freshness, that can sometimes be hard to sustain over the course of a novel. Some of our most acclaimed writers, those who remain relevant generations on, Poe, Lovecrat, Howard, etc., do so because of their short stories. Because of their ability to in scant words get to the heart of a story and of ourselves. 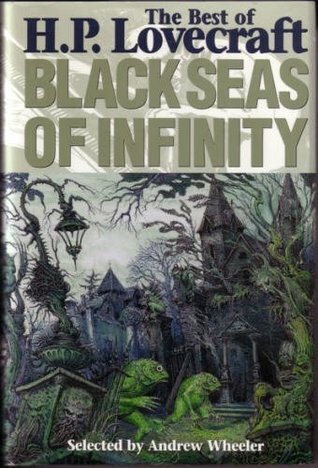 Richard Gavin does that in these stories, that while it has beeen alluded to Aickman or Ligotti, the stories are more visceral than Aickman and more satisfying than Ligotti, are uniquely Richard Gavin. 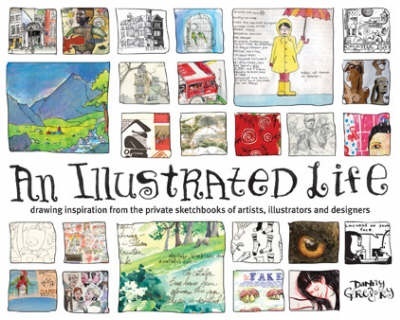 An Illustrated Life: Drawing Inspiration from the Private Sketchbooks of Artists, Illustrators and Designers [Paperback]- This book offers a sneak peak into the wildly creative imaginations of 50 top illustrators, designers and artists. Included are sketchbook pages from R. Crumb, Chris Ware, James Jean, James Kochalka, and many others. In addition, author Danny Gregory has interviewed each artist and shares their thoughts on living the artistic life through journaling. Watch artists – through words and images – record the world they see and craft the world as they want it to be. The pages of An Illustrated Life are sometimes startling, sometimes endearing, but always inspiring. Whether you’re an illustrator, designer, or simply someone searching for inspiration, these pages will open a whole new world to you. 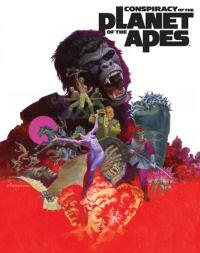 Conspiracy of the Planet of the Apes [Hardcover]- Conspiracy of the Planet of the Apes is the first-ever original novel set in the continuity of the classic 1968 movie. Conspiracy tells the story of what happened between the scenes of the first film, exploring the adventures of the Astronaut John Landon, Chimpanzee scientists Dr. Milo and Dr. Galen, and Gorilla Security Chief Marcus. Written by Andrew E.C. Gaska, and adapted from a story by Gaska, Rich Handley, Christian Berntsen and Erik Matthews, the book contains illustrations from the top talents in the industry, including: Jim Steranko, Andrew Probert, Timothy Lantz, Joe Jusko, Mark Texeira, Dave Dorman, Chris Scalf, Brian Rood, Chandra Free, Dan Dussault, Ken W. Kelly, Colo, David Hueso, Miki, Matt Busch, Dirk Shearer, Barron Storey, David Seidman, Sanjulian, Chris Moeller, Thomas Scioli, Scott Hampton, Leo Liebleman, Lucas Graciano, Erik Gist, and Patricio Carbajal.– Again not a PLANET OF THE APES devotee, but I’ve heard great things about this series, and the list of artists alone makes it worth a buy. Cédric Delsaux: Dark Lens [Hardcover]- In Dark Lens, Delsaux transports Darth Vader and the whole gamut of Star Wars iconography to a post-apocalyptic, urban-suburban landscape of endless parking lots, highrises and wasteland interzones, vacant of ordinary human life. 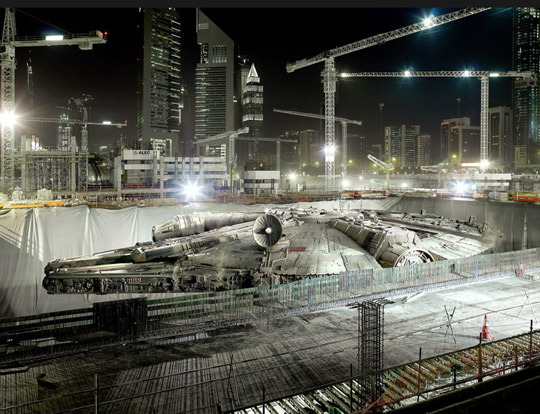 Delsaux’s “mythology of banality” (as he describes it) produces images that are not just funny or preposterous, but also weirdly compelling; in their photographic plausibility they successfully incorporate Star Wars into an everyday reality that we can all recognize, but in ways that make both worlds seem strangely real and absurdly false. Delsaux’s Dark Lens will captivate both film and photobook fans alike with its fantastically bizarre recasting of Star Wars on planet Earth after the apocalypse.–I don’t own a single Star Wars book. I’m not really a Star Wars guy. I like the movies well enough, but that’s as far as it goes. I’m not interested in making a mythology of them. So typically, most merchandising or books etc, I could care less. But this book works as an art book first, which is why I like it. 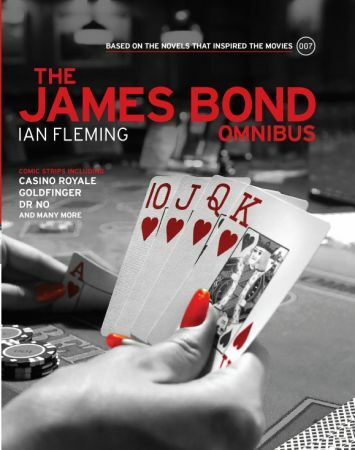 THE JAMES BOND OMNIBUS by Ian Fleming – James Bond, the world’s most famous secret agent, has thrilled audiences for over fifty years with his globe-trotting adventures. THE JAMES BOND OMNIBUS collects eleven of Ian Fleming’s original daily comic strips for the very first time in a mammoth omnibus edition. 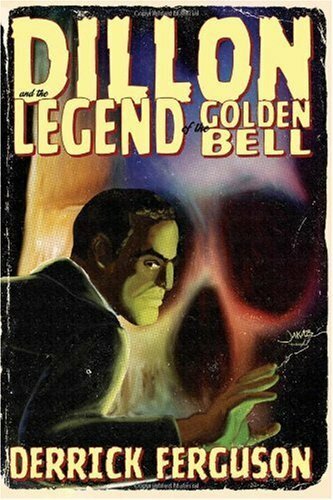 DILLON AND THE LEGEND OF THE GOLDEN BELL by Derrick Ferguson – The author of The Nuclear Suitcase, Joel Jenkins, describes Dillon and the Legend of the Golden Bell as “James Bond meets Cthulhu” and you’ll want to check out this heady mixture of the spy thriller and horror genres. 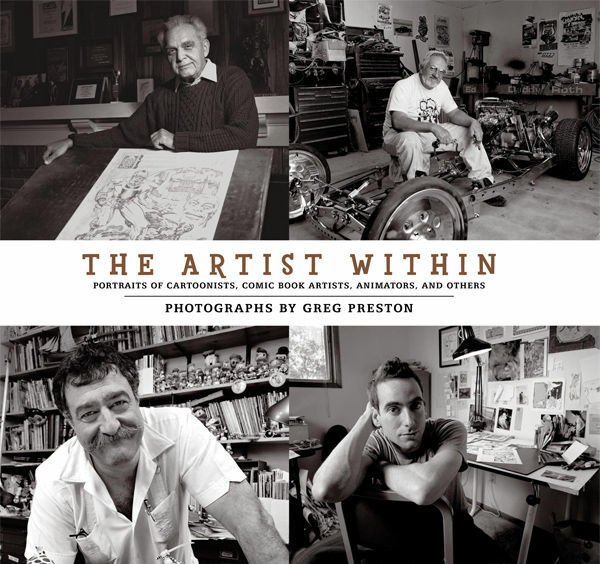 THE ARTIST WITHIN by Greg Preston – The culmination of more than fifteen years of photography by renowned photographer Greg Preston, this book is a living history of the men and women who have shaped the imaginations of countless millions of people around the world through their work in the fields of animated cartoons, comic books, comic strips and editorial cartooning. 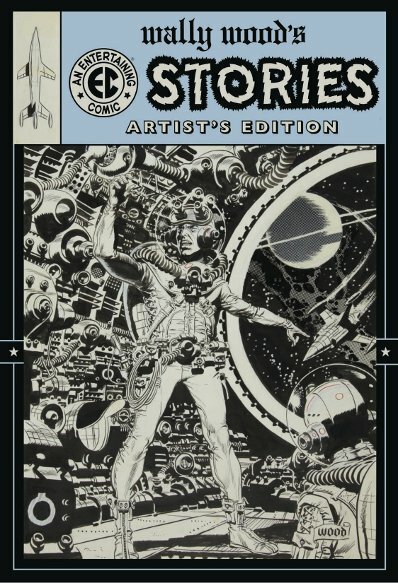 The list of more than two hundred artists includes such luminaries as Frank Miller, Al Hirschfeld, Joe Barbera, Jack Kirby, Joe Simon, Moebius, Walter and Louise Simonson and many more, all in photographs exclusive and shot expressly for this book. ATLAS OF HUMAN ANATOMY AND SURGERY by Jean-Marie Le Minor – Anatomically correct We owe a great debt to Jean Baptiste Marc Bourgery (1797?1849) for his Atlas of Anatomy, which was not only a massive event in medical history, but also remains one of the most comprehensive and beautifully illustrated anatomical treatises ever published in any language. 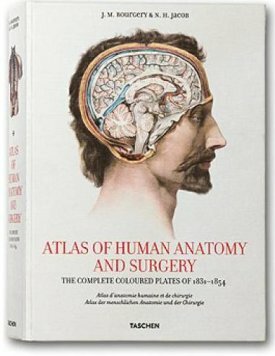 In 1830, having received his doctorate in medicine three years prior, Bourgery began work on his magnificent atlas in cooperation with illustrator Nicolas Henri Jacob (1782?1871), a student of the French painter Jacques Louis David. The first volumes were published the following year, but completion of the treatise required nearly two decades of dedication. 15.5 lbs and 19.2″ x 12.6″ x 3.5″.714pgs. 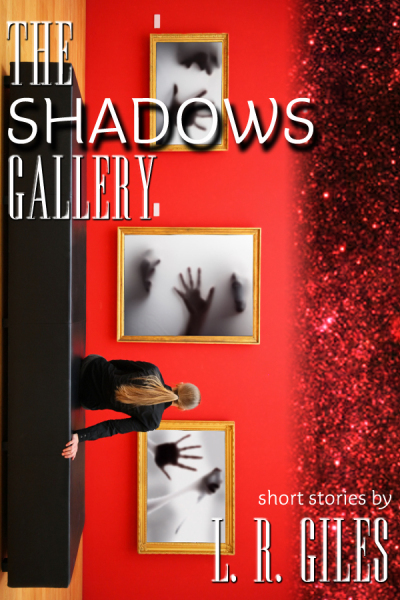 THE SHADOWS GALLERY by L.R. Giles – You’ve been invited to the opening of a grand exhibition, a show unlike any you’ve ever seen. Inside you might find your greatest joy or your worst fear on display. But be warned, it can be difficult to tell which is which when you’re looking through the shadows… Award-winning author L.R. Giles brings forth a collection of tales that take you to the limits of imagination and beyond. Well gals and guys hope you enjoyed that. The WEDNESDAY WORDS column is a new blog feature, appearing (you guessed it!) every Wednesday. Come back next week to see which books make the list! And if you see items you’re considering purchasing then, if you are able and would like to support this blog, please utilize the attached links. Your helpful purchases through the links generates much appreciated pennies to keep this blog running. Your feedback and support… just way cool, and way appreciated. Thanks! WEDNESDAY WORDS: TOP 20 BOOKS OF THE WEEK #2! Feel free to leave feedback comments below, or suggest additions or subtractions. 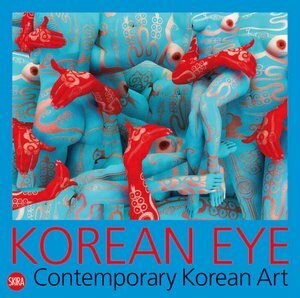 Korean Eye: Contemporary Korean Art [Paperback]- The most influential and significant work on Korean contemporary art and artists to date. Following the huge success of Korean Eye: Moon Generation, the first international exhibition of Korean contemporary art, Skira publishes a book featuring sixty of Korea’s most renowned contemporary artists, selected by a curatorial team which consists of a mix of Korean and international art curators. The book also includes background information on the art scene in Korea and references to the major art fairs, symposia, exhibitions, galleries, museums, and events throughout the year. ECHO NOUVEAU The Art and Life of a Working Girl: 1995-2010 [Hardcover]- This book is much more than a collection of fifteen years of artwork by the renowned and award winning art nouveau advertising illustrator, Echo Chernik. In this book, Echo answers the question “What’s it like to be an advertising illustrator?” She addresses the topics of portfolio creation, contract negotiation, and the process involved in becoming a successful commercial artist. As an instructor of Graphic Design and Illustration at Pratt Institute and Skidmore CCI, and one of the industry’s most in-demand advertising illustrators, Echo has designed this book not only as a collection of previously uncompiled illustrations, but also as a conduit for dispensing years of accumulated knowledge and advice to fledgling and hopeful young illustrators. Through a stunning visual tour of published works, Echo divulges hints and tips on how to navigate the business. She also shares often humourous stories about working on individual projects. The Studio of Echo Chernik is the combined efforts of Echo and Lazarus Chernik, both graduates of Pratt institute in New York. Echo’s clients have included over the years: Trek Bicycles, Miller, Camel, Coors, Nascar, Mattel, The Bellagio Casino, Celestial Seasonings Teas, Sears, K-Mart, Arlo Guthrie, The Dave Matthews Band, and many more. Echo has been the recipient of numerous “Best In…” awards, Gold awards, Silver awards, Cover awards and Fan Favorite awards, including HP’s Best In Show. Echo has also been featured in three publications of Spectrum to date. —It was seeing her lavish and lovely, exquisite even, drawings in the annual SPECTRUM art collection that made me interested in this book. She’s a staggering artist. 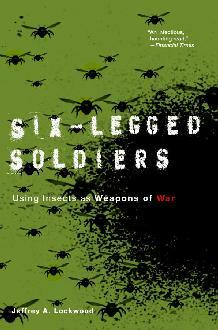 Six-Legged Soldiers: Using Insects as Weapons of War [Paperback]- Beginning in prehistoric times and building toward a near and disturbing future, the reader is taken on a journey of innovation and depravity. Award-winning science writer Jeffrey A. Lockwood begins with the development of “bee bombs” in the ancient world and explores the role of insect-borne disease in changing the course of major battles, ranging from Napoleon’s military campaigns to the trenches of World War I. He explores the horrific programs of insect warfare during World War II: airplanes dropping plague-infested fleas, facilities rearing tens of millions of hungry beetles to destroy crops, and prison camps staffed by doctors testing disease-carrying lice on inmates. The Cold War saw secret government operations involving the mass release of specially developed strains of mosquitoes on an unsuspecting American public–along with the alleged use of disease-carrying and crop-eating pests against North Korea and Cuba. Lockwood reveals how easy it would be to use of insects in warfare and terrorism today: In 1989, domestic ecoterrorists extorted government officials and wreaked economic and political havoc by threatening to release the notorious Medfly into California’s crops. A remarkable story of human ingenuity–and brutality–Six-Legged Soldiers is the first comprehensive look at the use of insects as weapons of war, from ancient times to the present day. 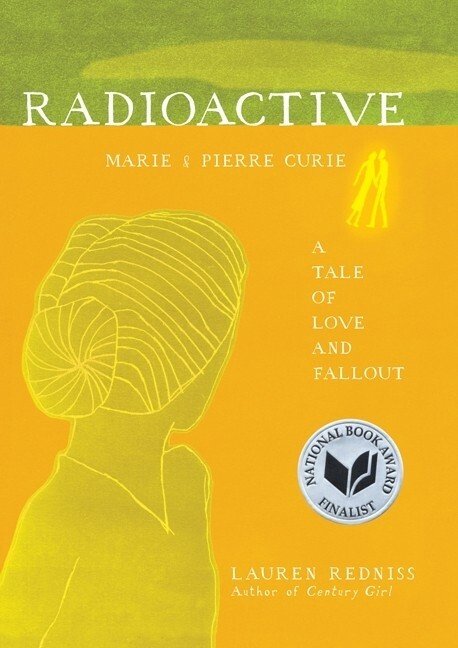 RADIOACTIVE:MARIE & PIERRE CURIE: A TALE OF LOVE AND FALLOUT – In the century since the Curies began their work, we’ve struggled with nuclear weapons proliferation, debated the role of radiation in medical treatment, and pondered nuclear energy as a solution to climate change. 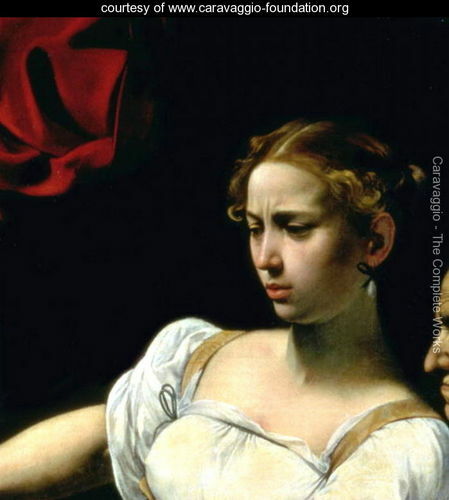 In Radioactive, Lauren Redniss links these contentious questions to a love story in 19th Century Paris…Whether young or old, scientific novice or expert, no one will fail to be moved by Lauren Redniss’s eerie and wondrous evocation of one of history’s most intriguing figures. 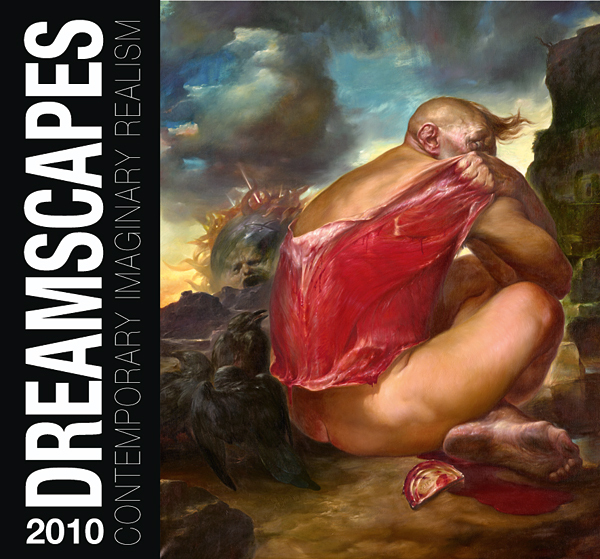 DREAMSCAPES 2010: CONTEMPORARY IMAGINARY REALISM – Publication Date: April 28, 2011 | ISBN-10: 9490668028 | ISBN-13: 978-9490668020 The greatest practitioners of imaginary realism are presented in this lavish overview of dreamy, surreal and beguiling paintings and sculptures! This large-scale, beautifully produced book features artwork by modern favorites like Michael Parkes, Daniel Merriam, Kinuko Y. Craft and many others. Vibrant paintings feature psychedelic dreamscapes populated by fairies, nymphs, gods and golems. Loaded with symbolism and often jarringly original, this showcases the best fantasy artists working today.Buy Direct from Publisher Here. FULL DARK, NO STARS by Stephen King – Like Different Seasons and Four Past Midnight, which generated such enduring films as The Shawshank Redemption and Stand by Me, Full Dark, No Stars proves Stephen King a master of the long story form. SHERLOCK HOLMES CONSULTING DETECTIVE Vol III – The Baker Street Sleuth returns in five new original mysteries told in the classic style of Arthur Conan Doyle. 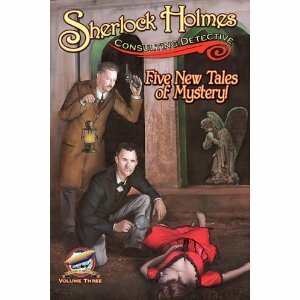 Here are tales by Aaron Smith, Ian Watson, Joshua Reynolds and Andrew Smith guaranteed entertain any mystery fan. Throw on your deerstalker cap and load your pistols, there’s murder and mayhem about and the game is afoot once more. The WEDNESDAY WORDS column is a brand new blog feature, appearing (you guessed it!) every Wednesday. Come back next week to see which books make the list! And if you see items you’re considering purchasing then, if you are able and would like to support this blog, please utilize the attached links. Your helpful purchases through the links generates much appreciated pennies to keep this blog running. Your feedback and support… just way cool, and way appreciated. Thanks!